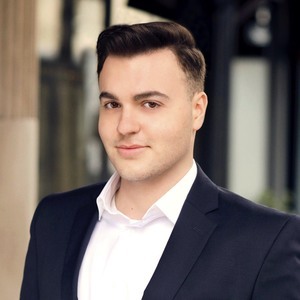 Native to the Upper East Side of Manhattan, Kiril Kalundziski grew a passion for real estate, design and architecture at a young age. His Macedonian grandfather, whom Kiril was named after, was a real estate investor and owned rental properties, which is why Kiril’s family has a strong real estate background. This tradition laid the foundation for his own interest for investing in and selling property. Kiril is accustomed to working for high-profile clients. His creativity with marketing and adeptness with technology enable Kiril to optimize exposure for his clients’ properties. Kiril’s strong love of social media has proven him to be a true millennial. Having studied at NJIT, Kiril majored in Biomedical Engineering and minored in Applied Mathematics, which shows his love of numbers. He brings an uncanny attention to detail, extreme organizational skills and boundless dedication to every client’s unique needs. Fluent in English and Macedonian, Kiril has experienced many cultures in his world travels. He likes to live an active lifestyle every day, by exploring the city and walking with his dog around Central Park.